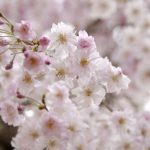 HomeThings to do in JapanMust See Spot, Snow Monkeys In Nagano & Suggested tourism spots around the park. 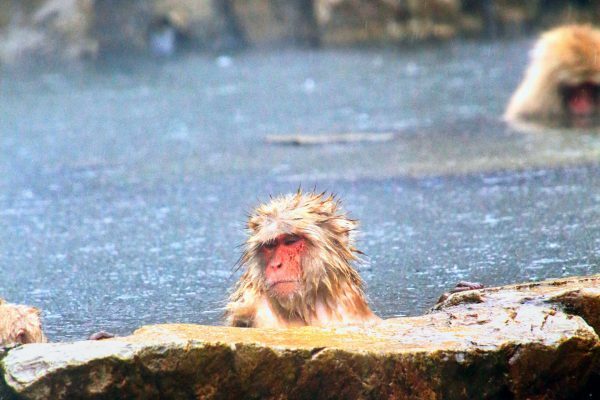 Have you ever seen the monkey taking bath? In Japan, you can see such monkeys in winter season. 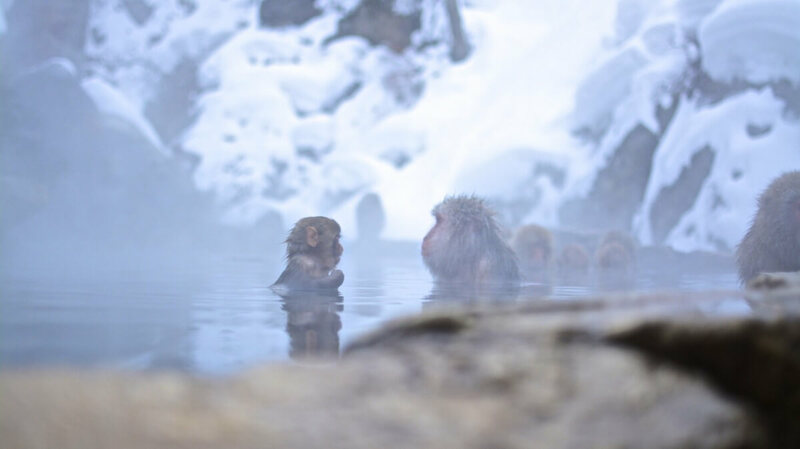 We are going to introduce “Snow Monkeys” and tourism place. 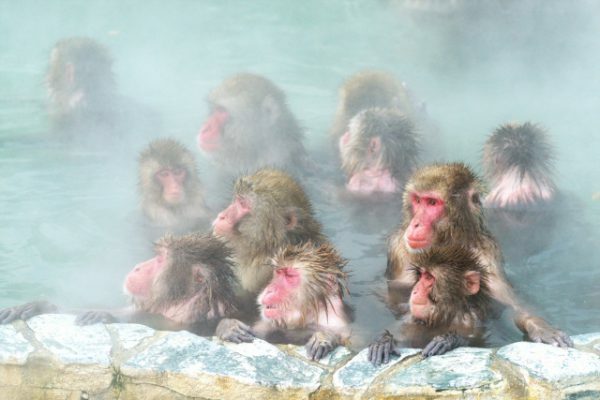 Snow Monkey Park is well known as place that monkey takes hot springs (Onsen) in winter season. It is also called ” Jigokudani Yaen-park”. It is originally known as place that we can see wild monkey from really close distance without fences. It is because Snow Monkey park is located at mountain area where wild monkeys live. So here is the best place to see monkey closely in nature environment. Even not in winter, you can see wild monkeys so closely here. But regarding Snow Monkeys, you can only see in winter season. 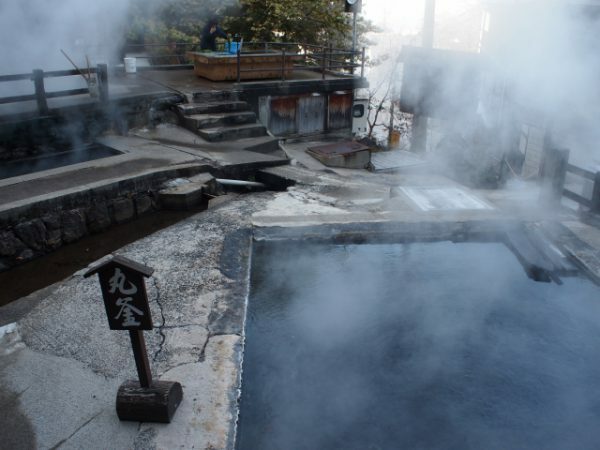 Why they takes hot springs (Onsen)? That is because to protect themselves against cold! It is extremely cold in winter season of Snow Monkey Park because it is located at mountain as I said above. The temperatures drops to -10 degrees and snow accumulates like overt 1 meter. Take Hokuriku Shinkansen(Bullet train) from Tokyo station to Nagano station. From Nagano station there are two way to get to the closest bus stop “Kanbayashi-Onsen“. 1st option is to take train from Nagano station to Yudanaka station(Nagano Dentetsu Line), and take bus or taxi from Yudanaka station to “Kanbayashi-Onsen” bus stop. 2nd option is to take bus from Nagano station to Snow Monkey park bus stop ( or Kanbayashi-Onsen” bus stop). From Kanbayashi-Onsen” bus stop, need to walk f0r 25-30min. 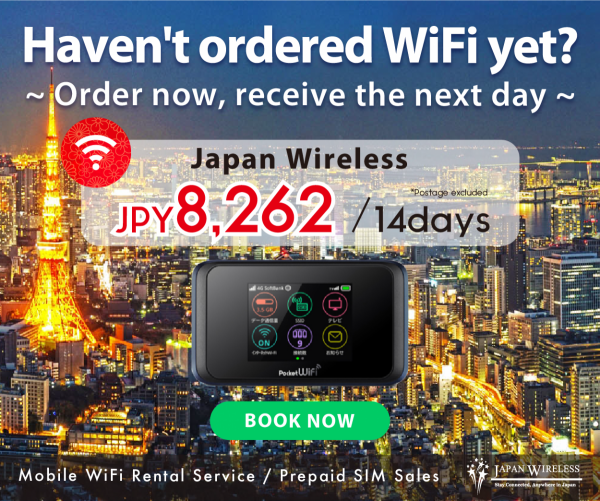 Total price: About 10000yen per person(If you have Japan Rail Pass, total cost is about 2000yen). Time duration: About 150min (except waiting time). If you want more information, please refer to below websites. You would like to arrange the tour goes to snow monkey park? 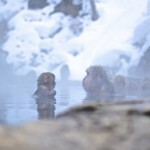 Yudanaka and Shibu Onsen area is 10min away from Snow Monkey Park by car. Yudanaka station is also gateway to this area. 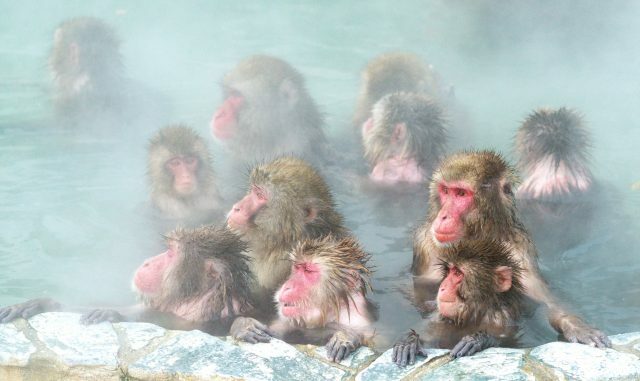 So after you go to Snow Monkey Park, you can take Onsen there. There are also some traditional ryokans(Japanese style inn) in Shibu Onsen, so you can stay here as well. 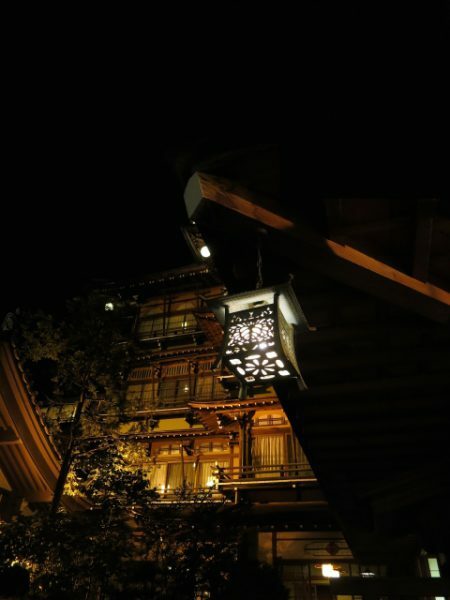 If you stay here, you can enjoy 9 sorts of Onsen and atmospheres of nostalgic town. Nagano city is a capital of Nagano Prefecture. It is most organized and traditional town in Nagano where there are lots of nature landscape things. Zenkouji Temple is most famous place in Nagano city. Also Togakushi is good place to visit too. Here is famous for Ninja and Soba(Japanese traditional noodle). 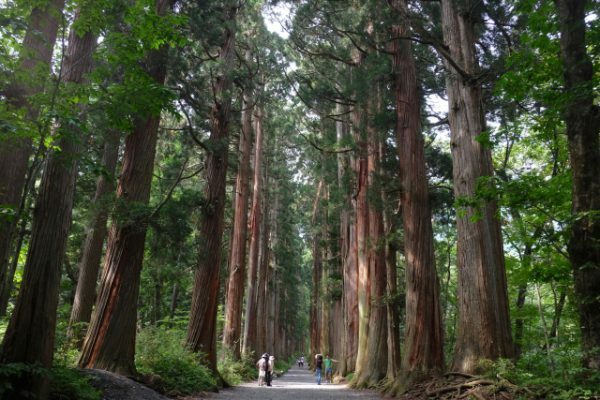 Togakushi shrine is really sacred place and it is surrounded by nature. For other information, You can find lots of places to visit from below website. <Access> 50min from Yudanaka from car. Shiga Kogen is famous Ski resort. Nowadays, Ski is gradually become one of popular activity! The quality of snow in Japan is really great! 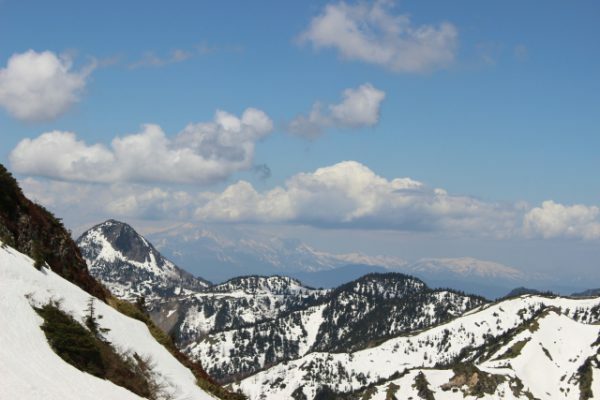 If you visit Nagano to see Snow Monkeys, season is winter. So it is best season to play ski. It takes about 25min from Yudanaka, so here is good place to enjoy Japanese winter!! Nozawa Onsen is also recommended Onsen around Nagano. There are 13 sorts of Onsen there and you can enjoy different types of Onsen. Some of them are really hot!! Nozawa Onsen is really old and traditional place. These old culture is inherited and you can see and feel the history from Onsen and way of living of local people. 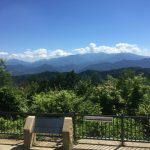 Kiso valley is known as historic preservation area. 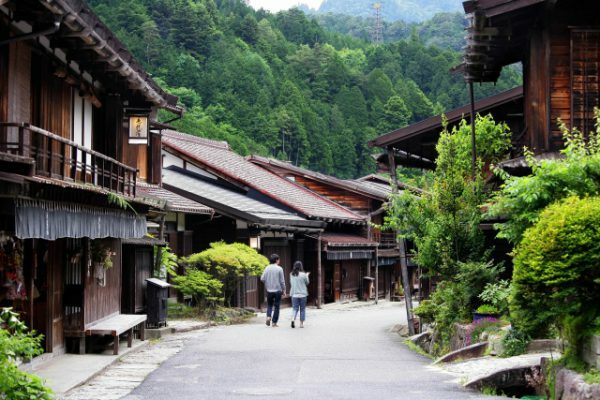 In Edo periond(about 300-200 years ago), Naraijuku & Tsumagojuku are towns in Kiso Valley. These are famous town of Nakasendo(the road between Edo and Kyoto). People usually passed this road by walk in this period. These towns have historical houses and atmospheres. So you can feel Japanese Edo period there. It is little bit far from Snow Monkey Park but it worth it. These are recommended hotels located at Shibu Onsen. 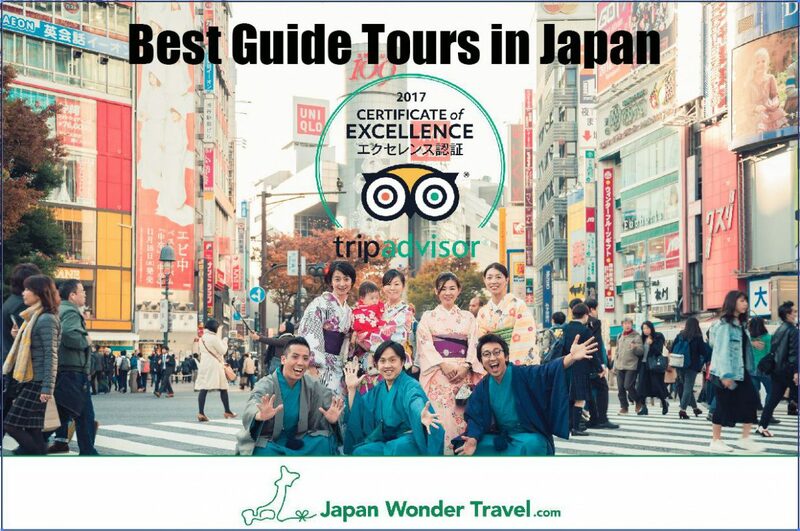 If you stay at Shibu Onsen area, please check it out.